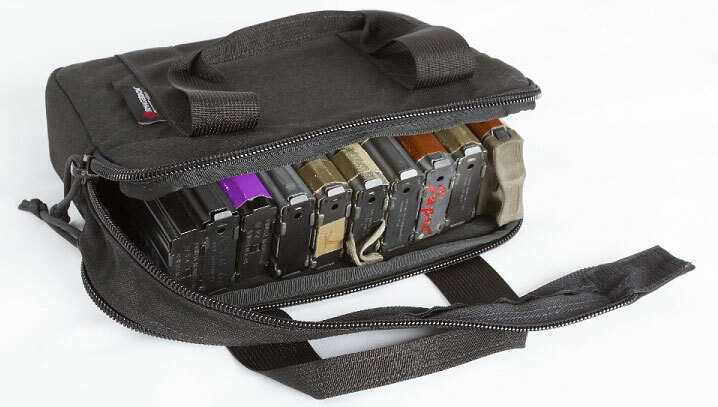 The AR15 10-Mag Bag provides a convenient way to carry ten mags for your carbine. Use at the range for training or keep several loaded and stashed for resupply. Double zippers and lightweight padding offer ease of access and protection for your valuable mags. Perfect for the door panel pocket on most pickup trucks or under a seat. Like everything Armageddon Gear manufactures, the AR15 10-Mag Bag is proudly made in the USA!